This painting depicted two native Mexican Indian women. Frida was influenced by Diego Rivera after they are married, especially the nativist faith he shared with other Mexican post-revolutionary artists and intellectuals. Frida and Diego were obsessed with Mexican native theater, dance, and music. She is the first woman in Mexican art to wear the traditional regional costume. As a couple they also collected numerous native visual art in indigenous forms. With this influence, her painting style changed also. She mentioned: "I began to paint things that he liked. From that time on he admired me and loved me." In this painting, Frida was following Diego Rivera's step to depict the native Indian women with strong and impressive faces that remind viewer of Gauguin's Tahitians. In Two Women, 1929, she painted the background with a wall of foliage that was originated from her admiration of Henri Rousseau. 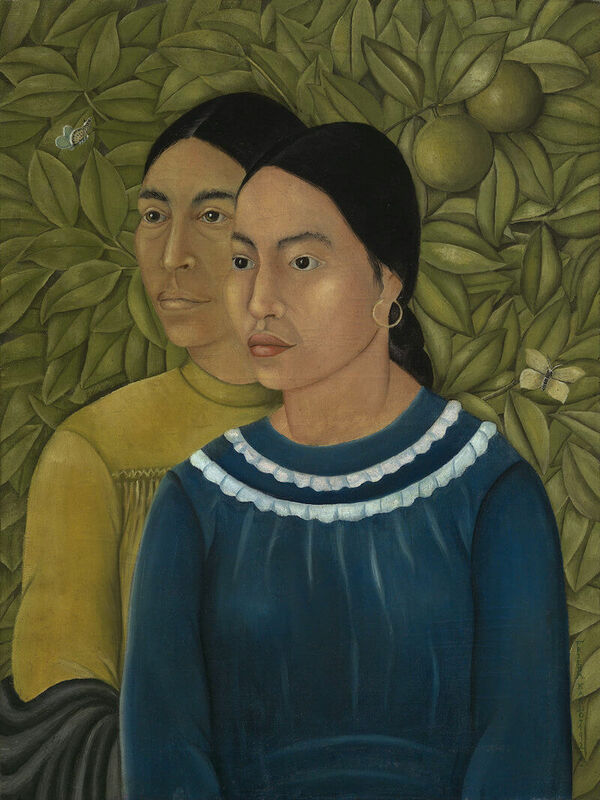 This painting is also inspired by her husband, Diego Rivera. "Diego showed me the revolutionary sense of life and the true sense of color," she later recalled.